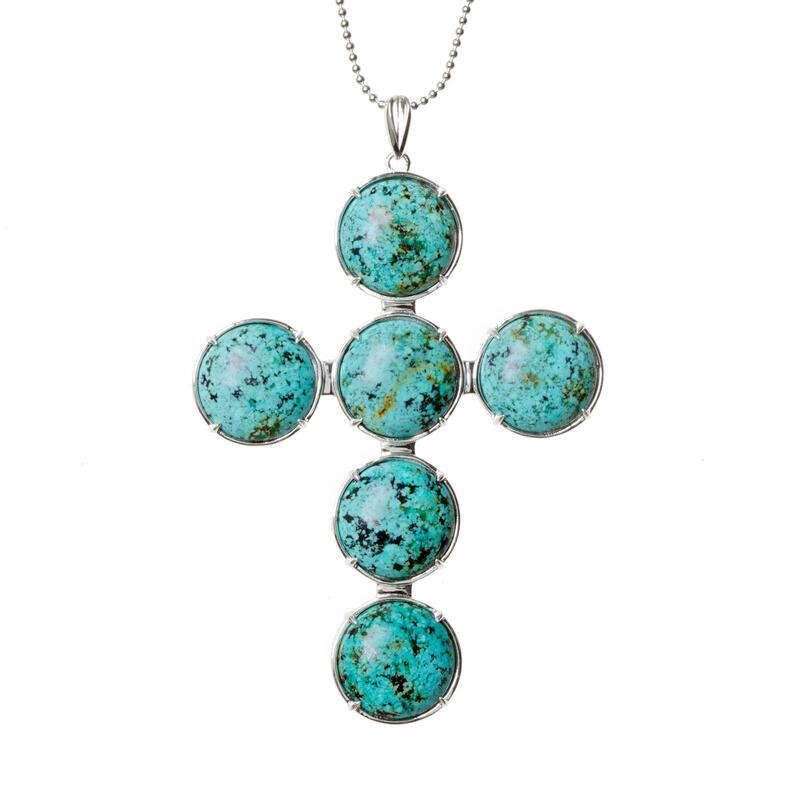 Sleek and stylish, this Kim Minchin Turquoise Cross Small Necklace is a must have for any occasion. The pendant is in a size small, measuring 5cm by 6.5cm in size with the chain being 80cm in size. The necklace is made from Sterling Silver, Black Onyx and African Turquoise.